The Lakeview at Eagles Ridge might just be my favorite of all our two bedroom units , and that is saying something as we have quite a nice selection of beautiful two bedroom vacation condos! There is just something about The Lakeview (ER 51-9) that is difficult to put into words... Perhaps it's the view from the third floor (with elevator ! No more wasting energy climbing flights of stairs just to get into and out of your condo! You'll need that energy for the many sights and attractions Branson has to offer , anyway!)... Perhaps its the location (conveniently located 1/4 mile behind Silver Dollar City and just a short drive from the '76 Strip' )... or Perhaps you are in it for the Amenities ( New Indoor & Outdoor Pools & Splash Pads ). No matter what your priority, The Lakeview is the perfect vacation home for you! There is just something about watching the sun set over Table Rock Lake while grilling out on the large shaded deck. Hard to explain. But I know its not all about the amazing views; the condo interior matters too! 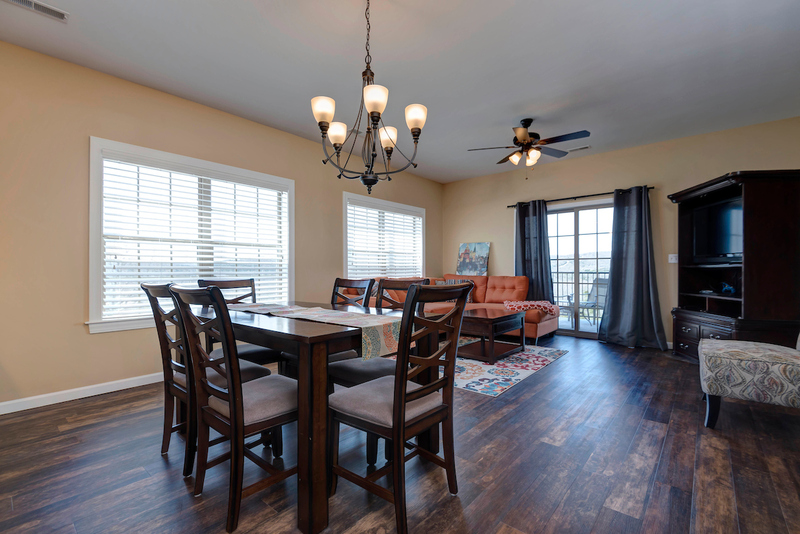 The Lakeview has a gorgeous interior with an open floor plan. This 1031 sq. ft. two bedroom vacation rental is perfect for any small family or group and sleeps up to 6 with a King bed in the master bedroom and a Queen in the guest . Air mattresses are available for additional sleepers! Save money by grabbing groceries at Deer Run Grocery Store (located conveniently less than a mile away!) 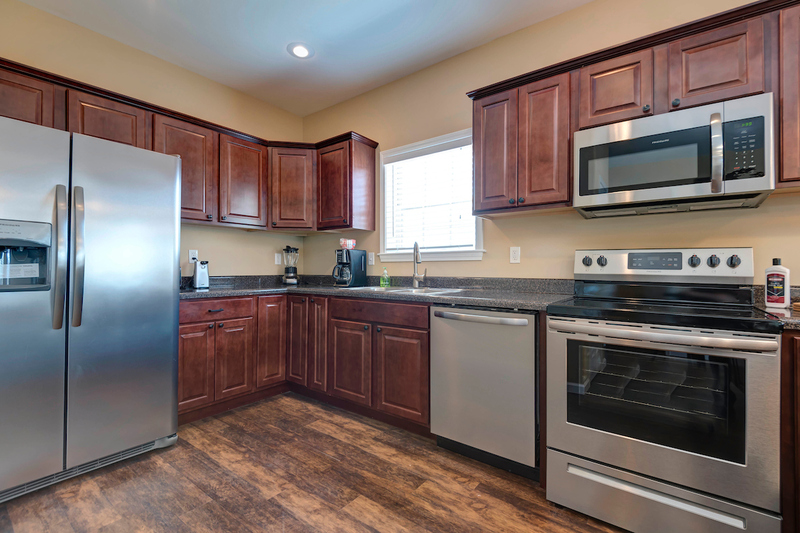 and load up The Lakeview's full size kitchen. No need to waste money (that could go to the bevy of family friendly shows available) eating out when you can cook anything and everything thanks to the fully stocked kitchen! This is a complete home! All it needs is your family! 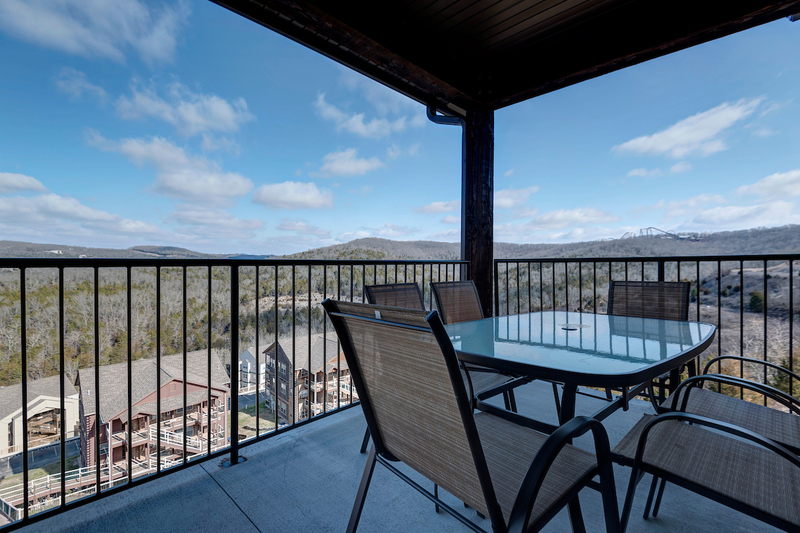 The Lakeview at Eagles Ridge (ER 51-9) is located at Eagles Ridge down Indian Point in beautiful Branson, MO . 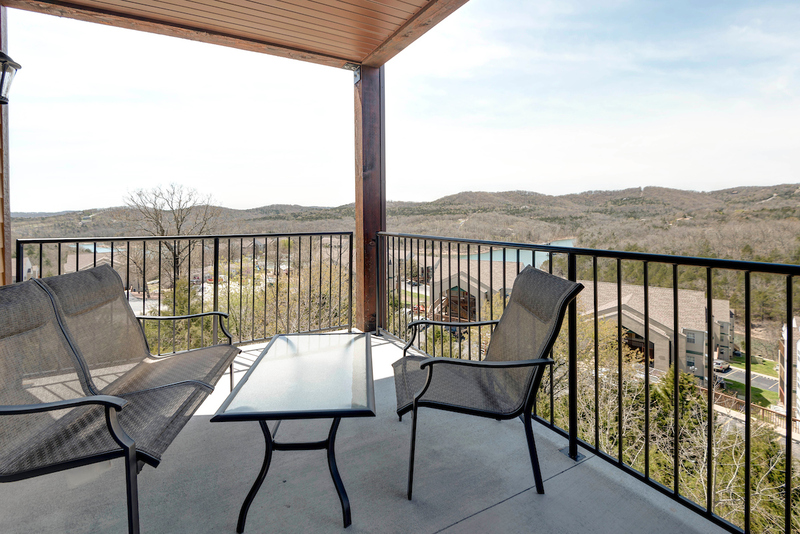 Conveniently located far enough away to feel secluded and to enjoy the serenity of the Ozarks, but close enough to only be a short drive from all the attractions (Indian Point Road is located right off the '76 Strip'). We are only minutes from Silver Dollar City and Indian Point Marina , and The Lakeview also includes access to the new indoor clubhouse featuring Indoor/Outdoor Saltwater Pools & Splash Pads as well as an Indoor Hot Tub and Fitness Center. This condo has all the necessities and is ready for rental now! Clear Lake Condo Rentals is filling up July 2018 quickly! Don't forget that accommodations are only part of the equation when you are talking about Branson, Missouri. The next step will be tickets to your favorite shows and theaters. We can help you there! Contact us at 866-811-8241 or check out Branson Quick Tix for more information. When your on vacation, every saved penny helps! Are you interested in renting this condo? See if your dates are available here!